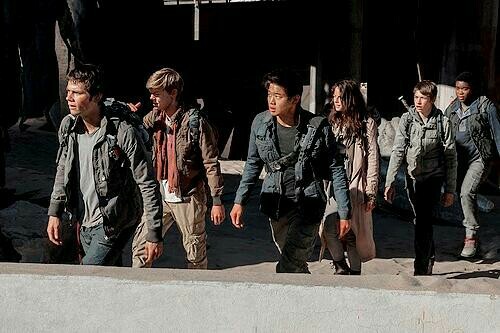 New Still - The Scorch Trials. . Wallpaper and background images in the The Maze Runner club tagged: photo teresa kaya scodelario the maze runner thomas dylan o'brien newt thomas brodie-sangster ki hong lee minho. This The Maze Runner photo contains گرین beret, خصوصی افواج, اشرافیہ سپاہی, گرین باریٹ, سپیشل فورسز, ایلیٹ سپاہی, رائفل مین, رائفل, وردی, and فتاگیس. There might also be مکمل لباس وردی, مکمل لباس یکساں, سٹریٹ, شہر منظر, شہری ماحول, گلی, شہر ديکھا, شہری سیٹنگ, کام کی وردی, and وارکویار.